Economists are growing increasingly optimistic about prospects for the U.S. economy. Most forecasts anticipate growth will accelerate steadily through the end of the year -- a pleasing contrast to the beginning of 2014, when unusually frigid weather thwarted expansion. But while economists are finding comfort in the numbers -- the most recent federal data showed the economy growing at a 4 percent annualized clip from April to June -- another set of experts is spotting an alarming trend that could pose an economic challenge: Meteorologists are increasingly concerned about blasts of arctic air that could escape from a polar vortex and sweep across the Great Lakes and into the Northeast early this fall, said Paul Pastelok, lead long-range forecaster for AccuWeather.com. Weather forecasters and economists typically do their business in separate realms, but the brutal winter storms that assailed much of the nation early this year offered a reminder of the connection. Goods and services sold within the United States fell 2.1 percent from January to March as shoppers stayed home and truck drivers couldn’t deliver as many products to and from factories. Many estimates of first-quarter GDP missed the mark significantly. In April, May and June, the Bureau of Economic Analysis forecast 0.1 percent growth, a 1 percent fall and then a 2.9 percent fall before the release of final data. For now, a recent Wall Street Journal survey found 43 economists polled expect the economy to expand at a 3 percent annualized pace in the second half of the year. But the polar vortex could put that picture at risk. 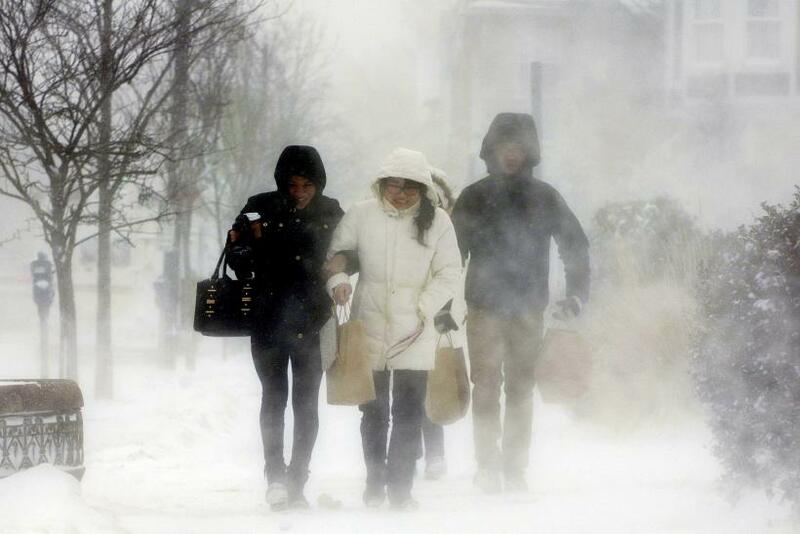 Jeff Masters, meteorology director of Weather Underground, told IBTimes it's “a total toss-up right now” between a normal and an unusually cold winter. The polar vortices are two masses of swirling cold air high up in the atmosphere over the North and South poles. Fingers of the northern cyclone can break off and dive into Canada, pushing arctic air into the United States. Still, the possibility of another polar vortex scenario has yet to factor into economic growth estimates. “We’re not anticipating any weather effects simply because we’re not weather forecasters,” said Paul Dales, senior U.S. economist at Capital Economics, which forecasts 3 percent growth. Weather and climate, directly or indirectly, affect nearly a third of GDP, data company ISO reported. In particularly cold weather, people tend to eat out less and shop less, and defer major purchases like cars. People also tend to work fewer hours in the event of winter storms, which can disrupt transportation. The utility and energy sectors benefit from higher spending on electricity and natural gas, but construction projects confront delays, generating unemployment. Industries with extensive supply chains, like manufacturing, must wait longer for parts to arrive and to ship products. Spending delayed by bad weather can then surge when good weather resumes, but not all: If a family doesn’t eat at a restaurant during a week of cold weather, that money is simply not spent. Economists were generally not inclined to prognosticate about weather impacts. "I can't think of any source that could predict the weather with enough accuracy such that we'd make a change to our baseline," he added. "This would have to be done weeks in advance. Maybe, just maybe, we'd run an alternative forecast to demonstrate the risk."